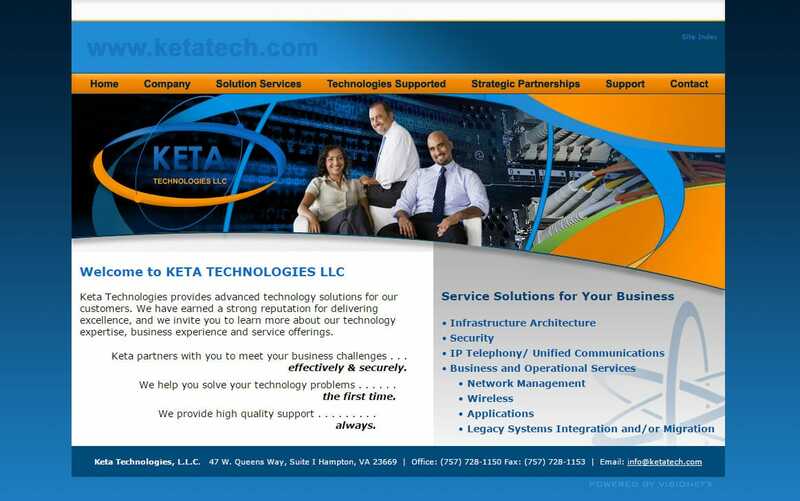 Word Press website design Hampton VA | Ketatech IT website navigation structure provides visitors one-click access to all interior pages for fast access. Customers do not have to drill down 2 or 3 pages to find the desired information. The website continues to generate online customer leads and support the existing customers throughout the Virginia Peninsula region. You want your website working for you. And a good website does many things. But what it must do is to generate visitor interaction on your website. Whether it’s sales or new clients or subscribers you want them. If your website is under performing and just eking out some business there’s a lot you can we can do about that! We are a professional web design company based in Virginia Beach, VA. We understand that great design elevates web sites above the rest and work to provide you the very best in web design. VISIONEFX provides services to national companies as well as small to medium businesses throughout the United States to include; custom web design, web development, E-commerce web design, Word Press web design, Joomla web development, SEO and web maintenance services. Call: (757) 619-6456 or email info@visionefx.net.